Construction work has been stopped on a statue of Mahatma Gandhi being built in Malawi after protesters complained he was racist. More than 3,000 people signed a petition arguing against the statue because Gandhi referred to black people as ‘savages’ and ‘kaffirs’ – an offensive term for a black African – in his writings. A judge granted an injunction on Wednesday saying that construction should be halted until a hearing could be carried out, or another court order was given. The statue was being built in the city of Blantyre, Malawi’s commercial capital, as part of a $10million construction project in conjunction with the city of Delhi. The site was due to host a concert hall which would also be named after the Indian independence fighter, and was due to be inaugurated by India’s Vice-President Venkaiah Naidu. 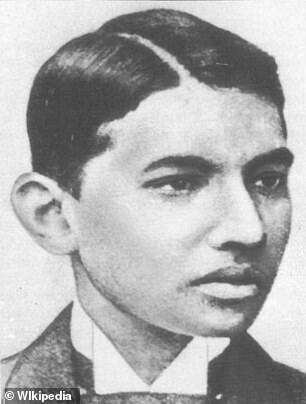 Gandhi spent 21 years living and working as a human rights lawyer in South Africa, starting at age 23, where he developed his political and ethical views. While there he faced persecution because of his race and served four prison terms totalling seven months for resisting racially-biased laws. The statue site was deserted by Wednesday afternoon, according to AFP, and a police officer said workers had been ordered home after the injunction was issued. Foreign ministry official Isaac Munlo previously defended the statue, saying ‘Gandhi promoted values of simplicity, fight against social evils’. 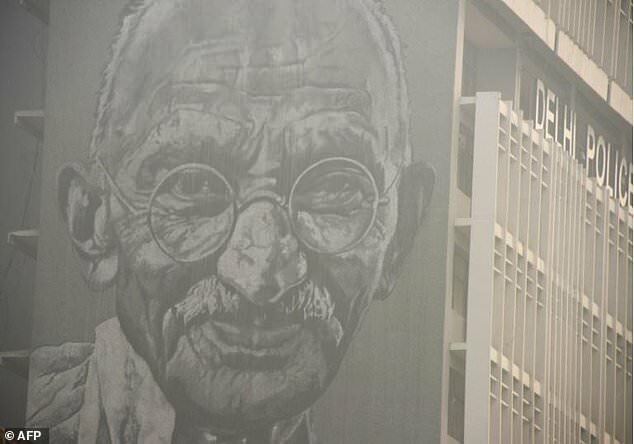 ‘Gandhi is a role model of a human rights campaigner for both Africa and India,’ he said.